Our EMU Australia range for men offers our classic 100% real Australian sheepskin boots in bigger sizes for guys. Choose from our Stinger, Outback or Paterson styles of real sheepskin boots in classic colours such as tan, brown and black, in a range of heights including low, classic calf length and high. 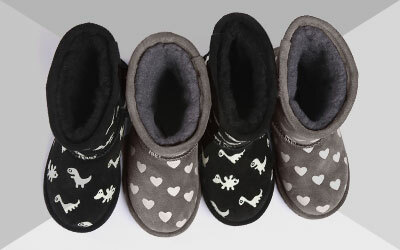 We also offer our cosy slippers in men’s sizes. Our sheepskin is water resistant, and some of our boots for men are also completely waterproof. Shop our range of EMU Australia slippers and boots for men here, including our classic 100% real Australian sheepskin boots, sure to keep feet warm on icy and cold winter walks. We also have a selection of cosy sheepskin slippers for men, ideal for wearing around the house in summer or winter. The soles of our sheepskin slippers for men are comfortable and flexible but also sturdy and durable, so they can also be worn outside. Our sheepskin is a really breathable material so it wicks away moisture to leave your feet cool and dry in the summer, as well as protecting them from colder temperatures during the winter, making a pair of EMU Australia sheepskin boots for men an amazing investment purchase as they can be worn year round. Our boots have Australian sheepskin insoles for warmth, and our fully waterproof Paterson boot with its luxury suede outer is rated to protect against cold temperatures up to -33c, or -22f for the ultimate in cold weather protection and comfort. Whether you’re looking for a pair of sheepskin boots for men or sheepskin slippers, you’ll discover the EMU difference. 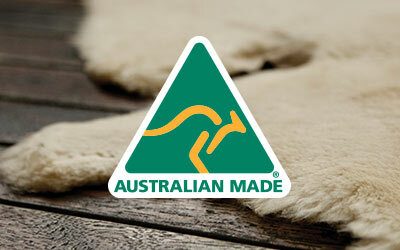 At EMU Australia we only use the finest, top quality, most natural materials. Some of our 100% real Australian sheepskin slippers and boots for men are also Woolmark accredited, so you can be sure of the high quality. Our slippers and boots not only look stylish and fashionable, they’re super comfortable and practical, so you get the best of both worlds. The soles are anatomically designed to be flexible and move with the curves of your foot, and we use superior double stitching to ensure our footwear is long lasting, strong and durable. Our slippers and boots for men offer the ultimate in everyday luxury, so invest in a pair of EMU Australia 100% Australian sheepskin slippers or boots for men today!